Take a trip to the rodeo with this fun Collectibulls Rodeo set. A cowboy rides his well-trained horse while another rides a bucking bull. 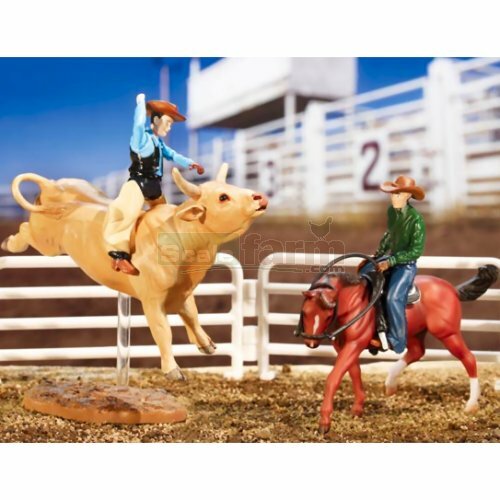 Set includes: bull with stand, horse, 2 riders, Western bridle and saddle, 4 pieces of fencing.